Using LinkedIn for Lead Generation can create rewarding opportunities. This doesn’t mean that social networking can work for every business in every industry. Social networking for business can make sense to different businesses for different reasons. Overall however, LinkedIn can be much more effective for lead generation than other social networking sites such as Twitter or Facebook. LinkedIn can be a powerful tool to generate new business leads especially for b2b service providers. We don’t necessarily recommend jumping on-board and starting to contact everyone in your network with a pitch. There needs to be a plan of action in place, a plan that can help keep you on the right track and help get the most out of your efforts. 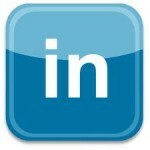 There are two ways of generating leads in LinkedIn.com, the direct and indirect approach. The direct approach involves reaching out to prospects directly. After connecting with the prospect you can offer advice, industry insights, or general information. This approach works best with prospect you have already had a conversation, have a mutual connection or interest with the prospect. Social networking is much like regular networking. There needs to be a common ground before you attempt to connect, just like in real life situations. Randomly going up to a stranger at a party or on the street and offering business advice will not work well, it does not work well on LinkedIn either. If looking people up and contacting them does not work for you, LinkedIn has an advertising program that can potentially drive targeted prospects to your pages. These ads work similarly to how paid search ads work on Google. You need a catchy headline, some copy and the link to your page. The effectiveness of the direct approaches depends on several factors, your industry, your interpersonal skills, the quality of your landing pages and more. The indirect approach revolves around the idea of sharing value and attracting the interest of your target audience. Producing value online means creating content that is helpful to your target audience. Think of the indirect approach as getting more readers to your content. This content can be featured on a landing page and promoted on LinkedIn or directly on the site through the answers program. One way to get exposure on the site and potentially attract interest for the services you offer is to provide answers to questions in LinkedIn answers. The LinkedIn Answer area provides individuals and companies an opportunity to show your expertise in your field of expertise. Recently LinkedIn introduced the company pages feature. As a business owner you should make sure you have claimed and customized this page. Make sure you populate the profile with as much relevant information possible including a company overview and specialties. Every bit of information you add to your company page will help the page to be found when someone searches for related terms on the site. Being ready to be found is a very important aspect of not only important for LinkedIn but also for other aspects of digital or inbound marketing. Setting up a company page for LinkedIn is one thing. To make sure you are using LinkedIn for lead generation to its fullest you will need to take additional steps in building and interacting with an audience. Creating an industry group can help building trust around your brand and your skills. You can build the group by inviting people to join and use it to share your content. Keeping the topics of conversation issue based will help keeping people around and participating in the discussions. Joining relevant industry groups can also work as well. Being an active member means participating or starting discussions about particular topics that not only relate to what you do but also are of interest to other members of the groups. Content sharing is key with every social media marketing campaign. Obviously the content must be of interest to your prospects and of good quality. You can share both content you create or you curate. You can share blog posts, research findings, videos, infographics, or white papers. In conclusion, think of LinkedIn as a channel of communication. Having valuable things to say is more important. To do this you will need to research your market and develop a content strategy. Once the strategy is there LinkedIn can be a great channel of communication. Using LinkedIn for lead generation will not get you results right away. You need to invest time and effort, try, analyze and fine-tune what you are doing to increase the results. There are always opportunities for improvement.